No matter where you are installing a car park, or how long you require it for, Groundtrax have the right solution. 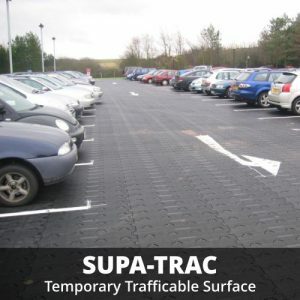 Our options range from easy to install, temporary surfaces, to permeable paving solutions ideal for permanent car park applications. All of our ground protection systems have been carefully engineered to provide stability, improve water drainage and prevent surface erosion. We use only the highest quality materials which are weatherproof, crack resistant and provide a non-slip surface even in the most demanding conditions. 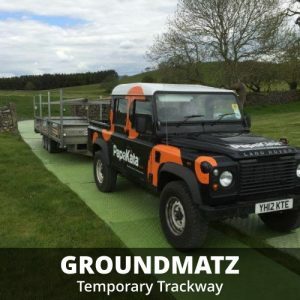 By using only recycled plastic, Groundtrax are able to offer our environmentally conscious customers a strong sustainable ground reinforcement surface that protect the environment on both a local and global scale. With the closure of many schools in recent years, student figures in the remaining schools have risen; leading to an increased demand for car parking spaces. As a result, many educational establishments have been forced to convert playing fields into permanent or semi-permanent car parks. 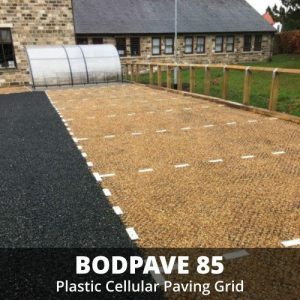 If you are looking to install a school car park then our GrassProtecta, CellPave AP, CellPave 40, BodPave 85 and CellPave HD products are all suitable for light vehicle and pedestrian traffic. In addition to catering for smaller vehicles, many car parks require the ability to handle larger vehicles including coaches. 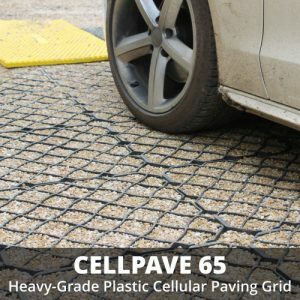 CellPave HD are heavy-duty porous plastic pavers, specifically designed for heavier traffic. 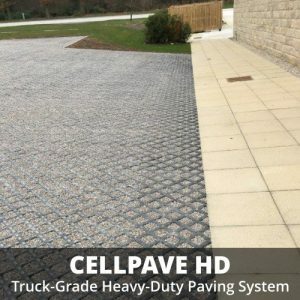 Suited for permanent grassed or gravel applications, CellPave HD is ideal for car parks used by coaches and HGVs. The many heritage sites across the UK attract millions of visitors every year, which of course means a high volume of vehicles. Our car park surface reinforcement systems enable the natural beauty of such sites to be preserved for all to enjoy. 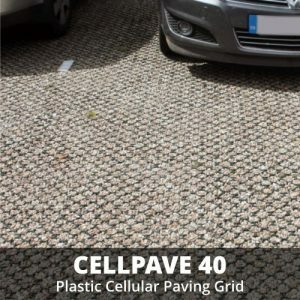 CellPave AP and GrassProtecta are both great options for such applications. 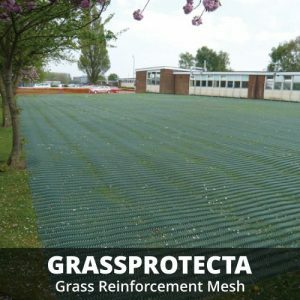 With the green plastic discreetly reinforcing the surface, GrassProtecta polyethylene mesh knits fully with the grass sward. 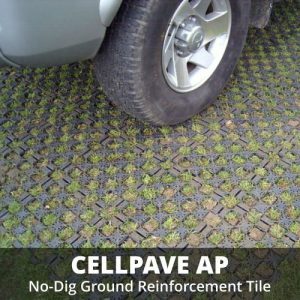 CellPave AP is installed quickly and easily and it provides a cost-effective way of reinforcing existing grassed areas without the need for a sub-base. The grids are a much stronger alternative to GrassProtecta as the grids themselves are vibrated into the ground with a vibratory roller. Not sure? Get expert advice from Groundtrax by calling us on 03456 800008.